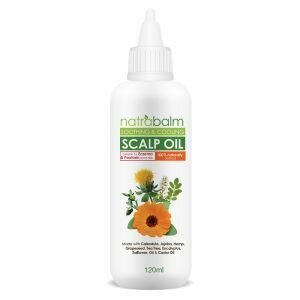 At Natrabalm, we are proud of our 100% natural remedy and the benefits they bring to our customers’ skin. Among the benefits of Calendula are its ability to speed the healing process, protect oral health, improve the appearance of the skin, boost vision, lower inflammation, reduce the risk of certain cancers and eliminate cramps. These orange/yellow flowers are commonly known as Marigolds – the broad classification of plants found within the same genus – Calendula Officinalis being the most common type. Calendula oil can help improve the appearance of your skin. Its natural antioxidant protection helps reduce the appearance of wrinkles and age spots – even the visibility of scars. If you suffer from dry, cracked, inflamed, or infected skin, applying an emollient that includes calendula oil can help – and fast! Calendula’s antioxidant compounds can also soothe inflammatory conditions like acne, eczema, rosacea and psoriasis. This pretty flowering plant can reduce the discomfort of inflamation. 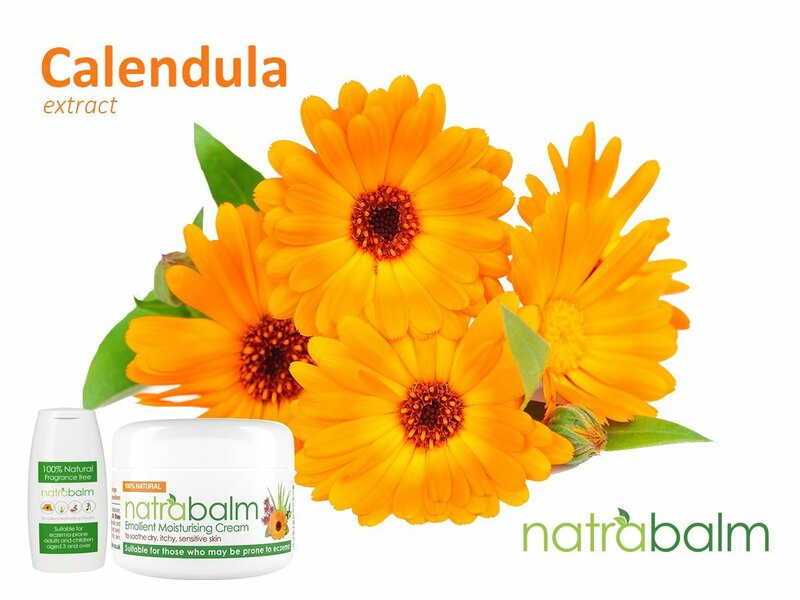 The calendula extract in Natrabalm, when applied to the skin, can aid rapid reduction in pain. Calendula’s anti-inflammatory compounds are good for spider veins, varicose veins, arthritis and other joint disorders, while the antioxidants can help improve the appearance of your skin. 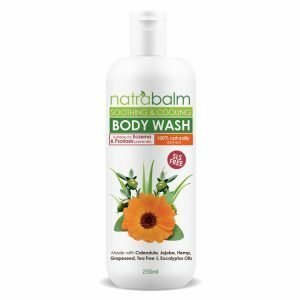 Read more about Natrabalm’s natural skincare ingredients here. Important note: Results of using Natrabalm will vary for each person. Always read the instructions, ingredient list and consult your doctor if you are unsure.